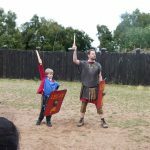 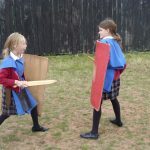 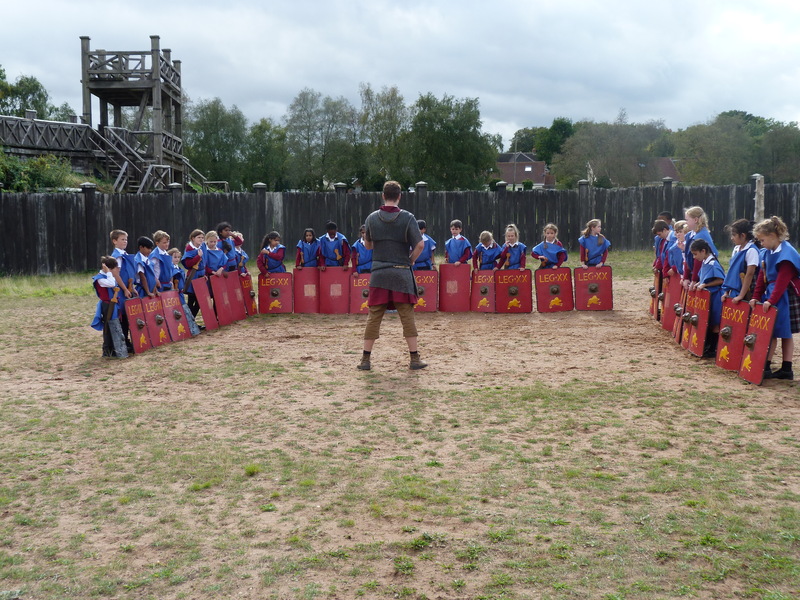 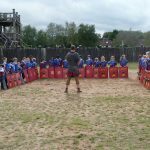 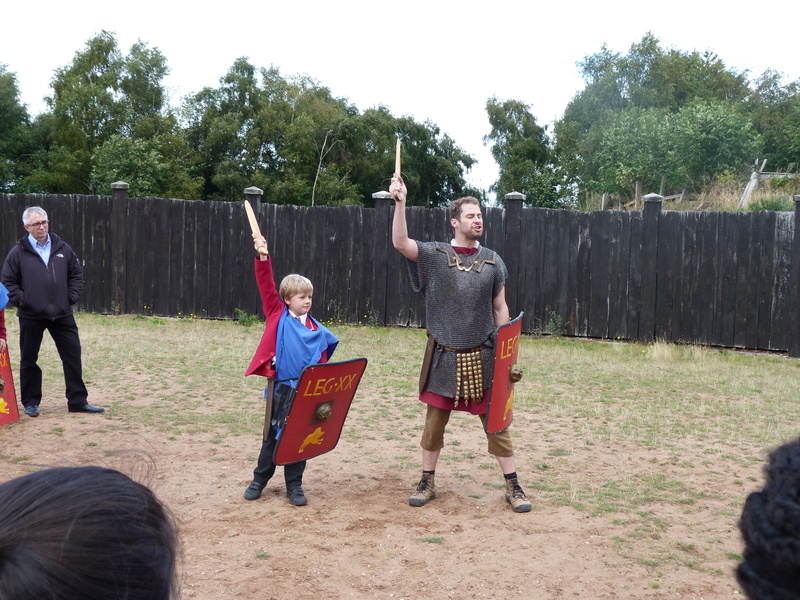 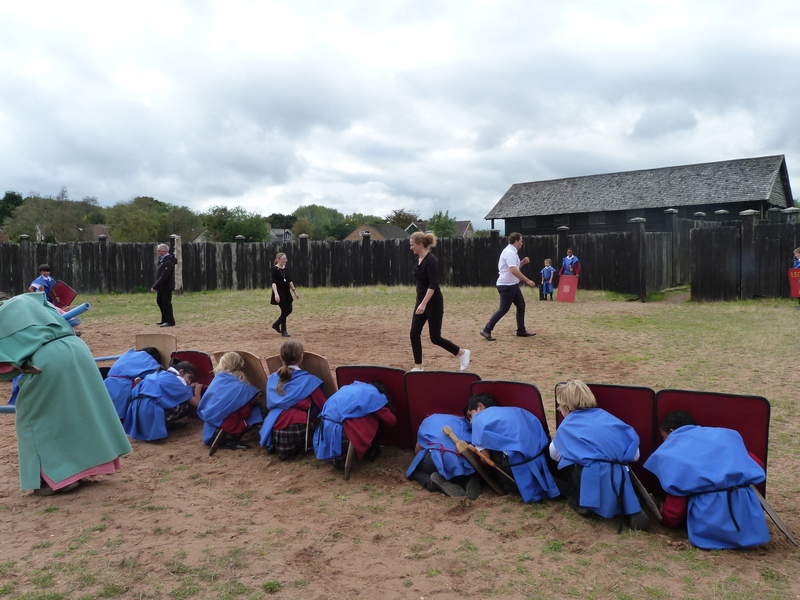 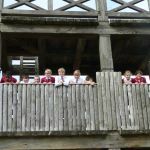 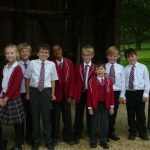 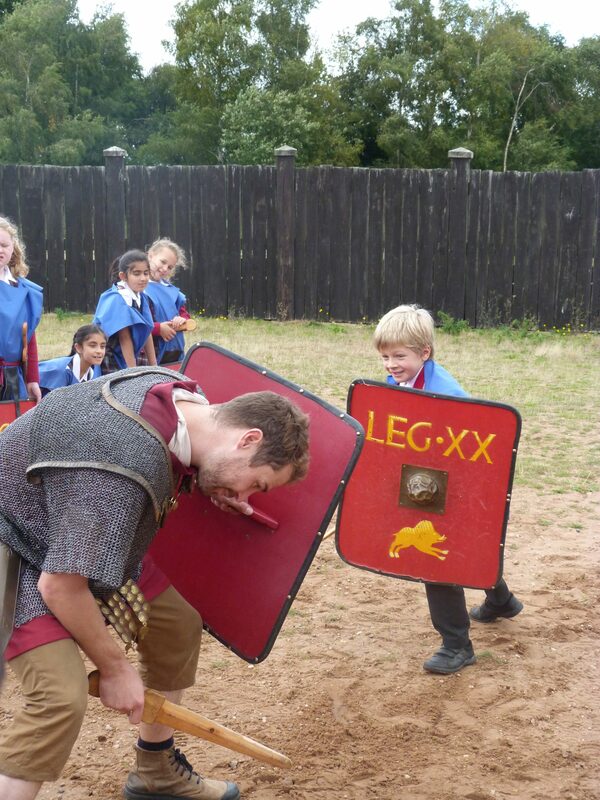 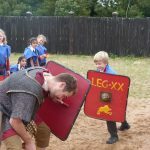 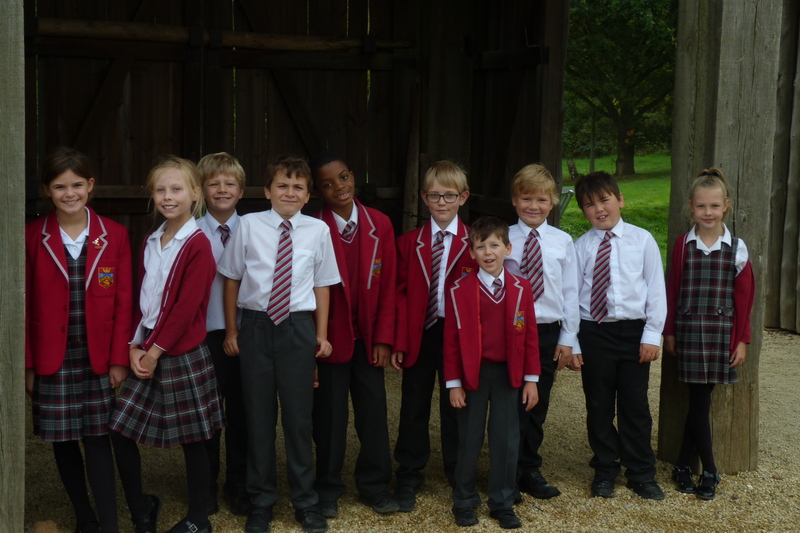 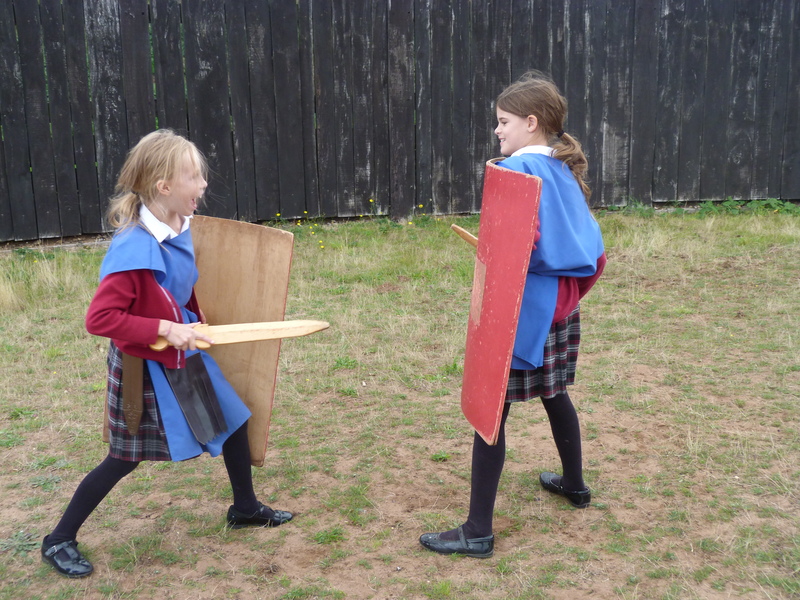 As part of their topic on the Roman era, J4 pupils recently visited The Lunt Roman Site near Coventry to learn about what life was like for Roman Soldiers living in Britain. 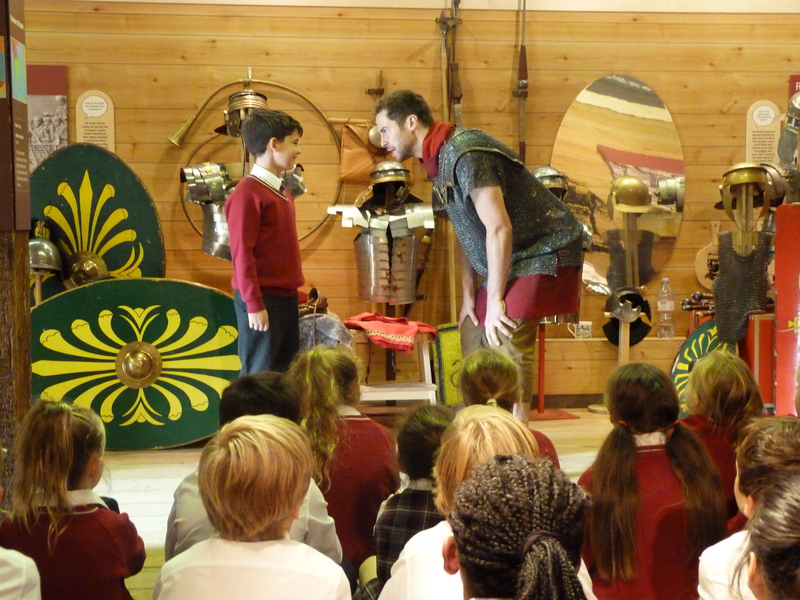 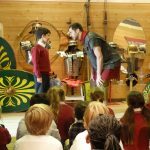 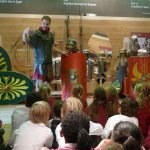 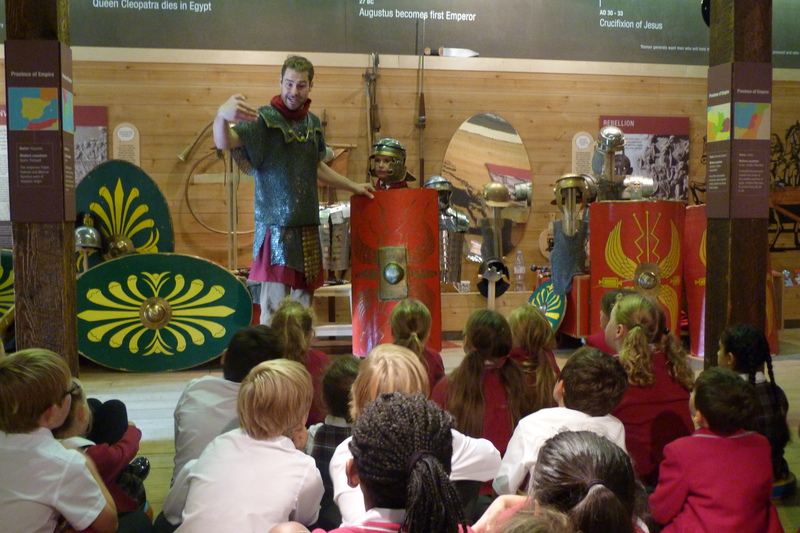 Pupils first listened to a talk about the ways Romans and Celts fought their battles. 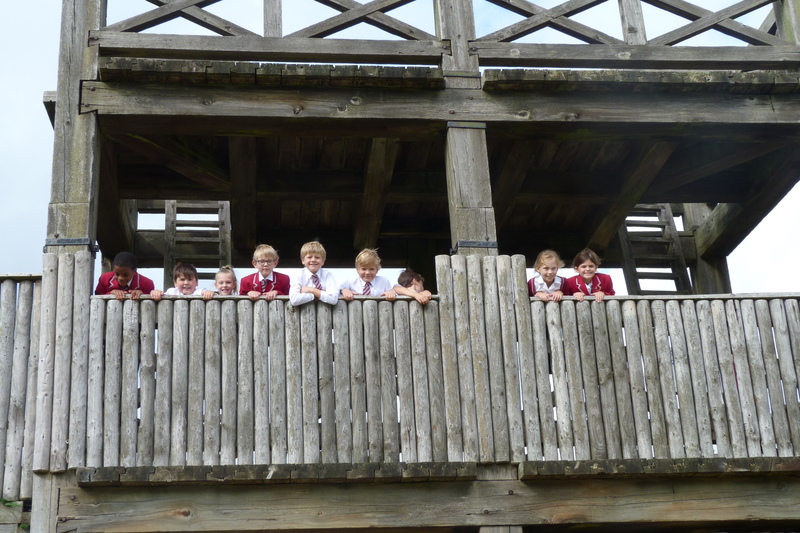 They then entered the fort through the large gates and climbed up the ramparts to get a good view of everything. 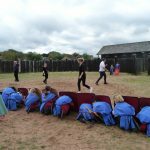 One of the most prominent features at Lunt is the huge circular wooden gyrus, which was an area for training cavalry horses. 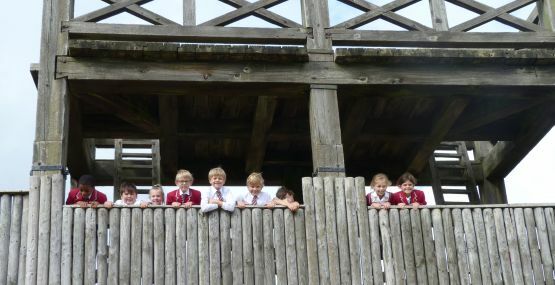 It is the only one in the world to be found inside a fort. 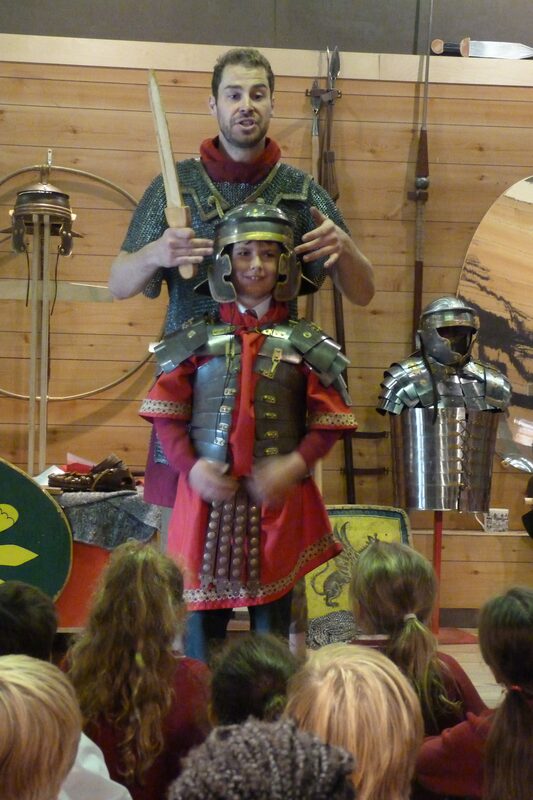 Throughout the day children immersed themselves in a Roman soldiers life, they learnt the different techniques used when the Celts and Romans fought battles, the names and function of the clothes Roman Soldiers wore and they learnt how to fight like real Roman Soldiers. 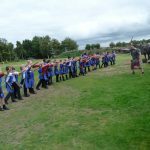 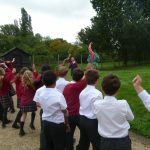 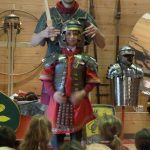 After lunch J4 were led to battle by a uniformed commander, pupils used swords and shields to practise authentic Roman military manoeuvres. 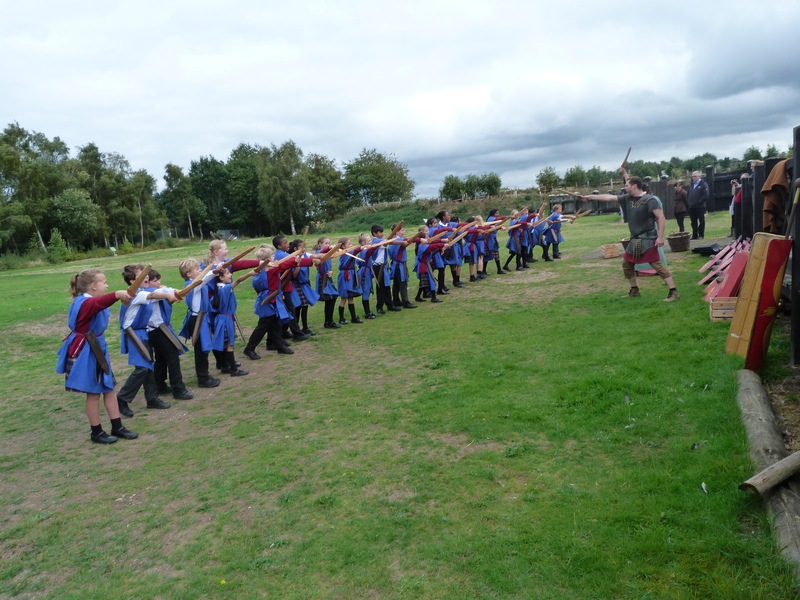 During the battle teachers were painted in Celtic war paint and “attacked” the children with (foam) spears but the teachers were outnumbered and victory belonged to the J4 children! 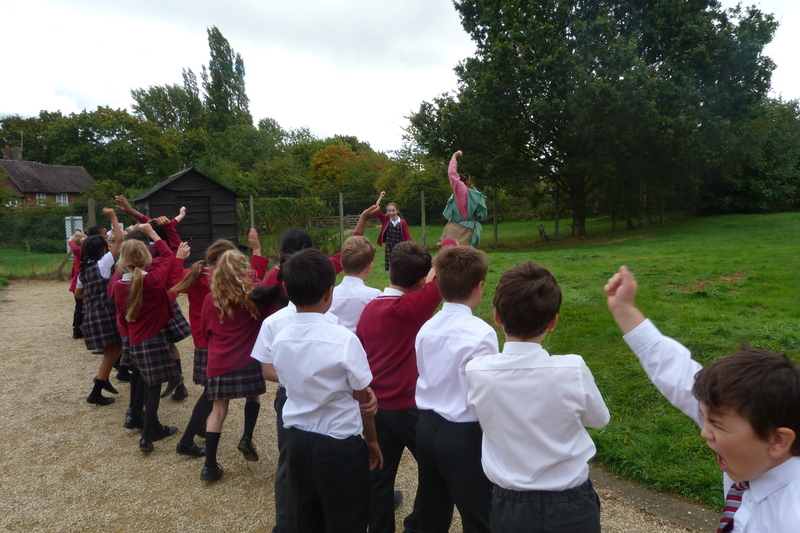 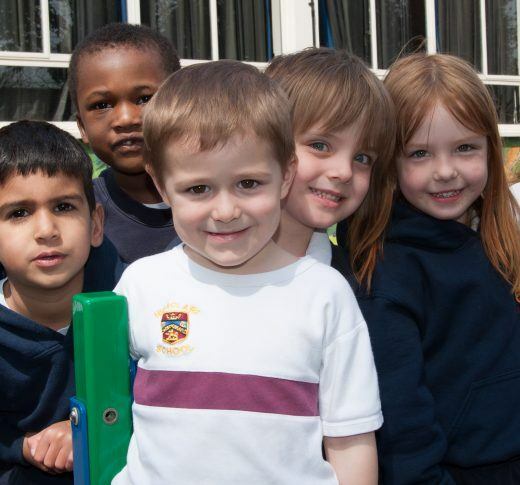 A fantastic active learning session to support our new topic!